This is the public profile of Studio 10 Design, Additional information and high-resolution images are available for accredited press members, to access additional information about Studio 10 Design please login as a press member. 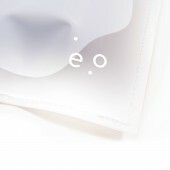 About Studio 10 Design : Studio10 is a Hong Kong based design house founded by Tak Cheung. They specialise in branding, visual identities, packaging, promotional designs, print and environmental graphics. They are constantly seeking innovative ideas to present to their clients. Design, to them, is a language. It is a mean of communication and it makes everyone closer, like conversations. It can exist everywhere in life. They believe that even a small alphabet holds messages of what the designer wants to say to his viewers. Their ultimate goal is to create the most optimal design. It needs to be able to convey client's messages to their viewers. They want to incorporate both the needs of their clients and their creative aspects and come up with the most suitable design. Press Members: Request an exclusive interview with Studio 10 Design.